New Screen Replacement startup (BIOS Screen) okay, But no desktop? Has this happened to you? Whereby you have source a screen replacement for your laptop, and fitted the LCD, only to discover that there is no Windows desktop when the machine boots up. You may even hear the sounds of the hard disk, see flashing lights and hear a musical tone played as Windows opens, but your display remains black? There could be a host of reasons for this, such as a faulty or incompatible screen, however, often you will be able to see the BIOS (CMOS) setup, or some text displayed just as the laptop is switched on. 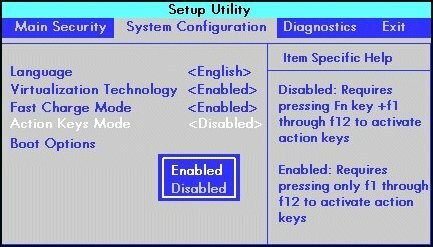 Often it will say Press ESC to enter setup or something similar. You might also see the manufacturer's logo, such as HP or Lenovo displayed just as the machine is switched on. If any of those scenarios applies to you, you most likely have a driver problem or software problem. Most of the time, when replacing a laptop screen, you do not need to update anything. There are situations, rare, but they happen, whereby the new screen does not respond to the old display driver software. Lucklily, this situation is easily resolveable. Testing and proving the fault. First, before we do anything, we want to be sure that the problem relates to the display software. Reboot the laptop in Safe Mode. If Windows now starts up and displays a desktop, you had a driver issue. If that wasn't your problem, you may want to do further troubleshooting. How to update the display drivers. Whilst still in Safe Mode, head over to the Control Panel. The kind of things you are looking for are items made by companies such as Intel, Nvidia or AMD (there are others but these are the usual suspects). Once you have removed all items related to the display driver software, there maybe 1 or more, reboot the machine. When Windows starts up, it will search for a better driver and install that, automatically. That's it! You have resolved your blank screen when Windows starts, or no desktop after LCD screen replacement problem.